Last week it was Splatoon 2, this week it's Dragon Quest XI (and still Splatoon 2) pushing console sales. If you weren't aware, Dragon Quest is the game series in Japan, so much so that each new entry only releases on Saturday to avoid kids and adults calling in sick to school and work. 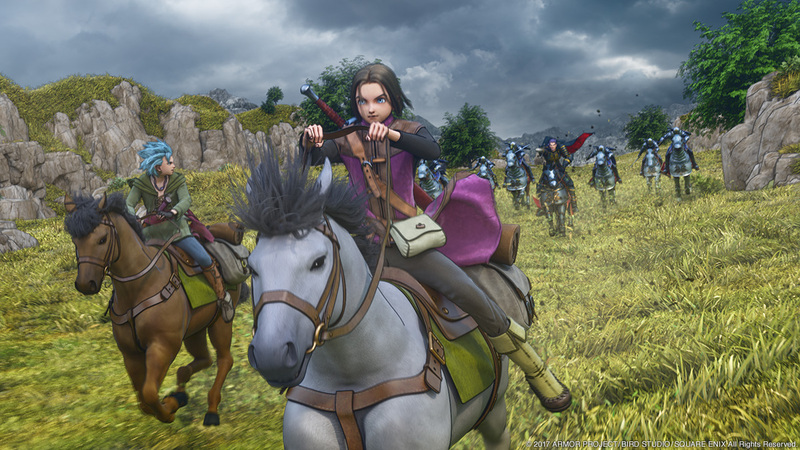 In just two days Dragon Quest XI eclipsed two million sales on 3DS and PlayStation 4 combined in Japan alone, while the Switch version is still to come. The release rocketed the New 2DS XL (LL in Japan) sales to over 100,000 for the week. Likewise, PS4 sales nearly quadrupled and New 3DS XL figures doubled from the previous week. The Nintendo Switch stayed at around 90,000 from last week likely due to the continued popularity of Splatoon 2.